Even though the healthcare industry has been slower to embrace Internet of Things than other industries, the Internet of Medical Things (IoMT) is positioned to reshape how we keep people safe and healthy, particularly as solutions to lower healthcare costs is on the rise. Allied Market Research predicts that the IoT healthcare market will reach $136.8 billion worldwide by 2021. There are over 3 million medical devices in circulation that are connected to and monitor patients to influence healthcare decisions. Wearable devices and the decreasing cost to produce sensor technology are largely responsible for this impressive growth. Also, chronic diseases are on the rise, so advanced treatment options and reducing healthcare expenditures makes it even more alluring to utilize newer innovations. The speed at which IoT devices are being adopted by the healthcare industry is impactful. If this pace keeps up, then predicting what is store isn’t a far stretch. Remote Patient Monitoring: IoT will transform patient monitoring from a distance, particularly for patients who have medical devices that require management. The examples are endless, but one area that IoT will make it easier to manage one’s healthcare is to regularly monitor your blood pressure, and then effortlessly and seamlessly report that data to your physician. The least amount of time it will take to proactively initiate action, if necessary, makes a huge difference in the intervention’s outcome. For patients with a propensity to suffer a heart attack or stroke, this time saving difference may mean life or death. Preventative Care: IoT can make regular checkups more convenient and less cumbersome. A device that can proactively monitor vitals would be able to advise when additional care is necessary. Preventative medicine is often overlooked by people who believe nothing is wrong — but consistently staying on top of your health can be the least expensive and most effective way to receive healthcare. Interactive Education: The medical community, together with medical students, will be armed with technologically-advanced training devices, offering real-time responses. It will be easier than ever before to train new medical professionals both in-person and remotely as the IoT tools will be more readily available and accessible. Workflow Efficiency: IoT will have a great impact on optimizing workflow among nurses and doctors, resulting in better care for their patients. For example, wearing a bluetooth-enabled bracelet by both the staff and patients will enable a centralized system that indicates location and whereabouts. This means that patients can be seen faster, and streamline logistics. Inventory Management: IoT will be impactful in managing a hospital’s inventory. From monitoring controlled substances, medications, and other important equipment, IoT’s technology can accurately track their use and position, minimizing mistakes and losses. As the number of connected devices catapults, IT systems will need to determine how to manage and secure the quantity of data collected. And in order for the IoMT to make the most impact, healthcare organizations will need to ascertain converting the data into useful insights. 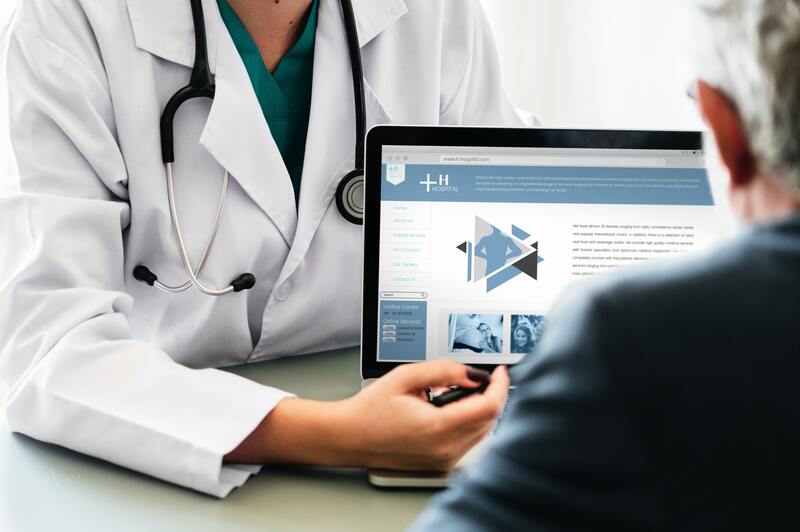 The pace of the IoMT transformation is growing and there is no end in sight; it will require administrators, medical staff and vendors to closely collaborate.